Granola is a nutritious, healthy treat, but most recipes call for honey, which both sweetens the snack and serves to hold it together. 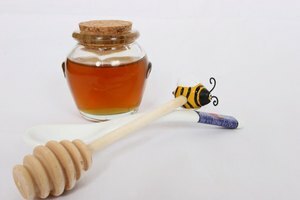 You might not want to use honey in your granola recipe if you are diabetic, or if you're a vegan and do not use food products from animals. There are ways to sweeten your granola without honey. Dried fruit can add sweetness to granola, and you might find you can use less of it than you think. 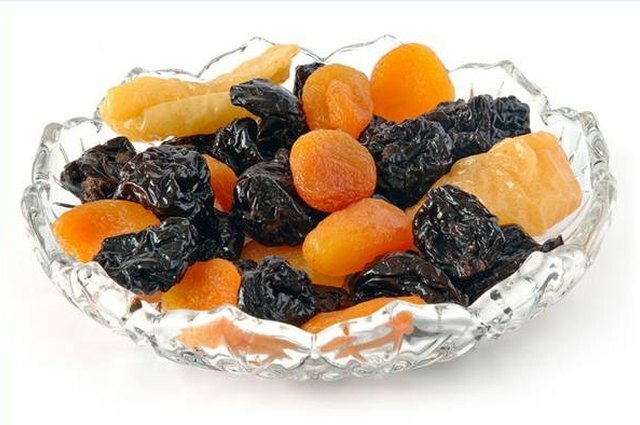 Go beyond the traditional raisins and dates and try adding dried cranberries ("craisins"), dried apricots or dried cherries, all of which are available in grocery stores. 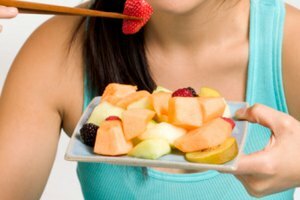 Health food stores are good sources for other fruits dried without sugar, including pineapple, mangoes and guavas. 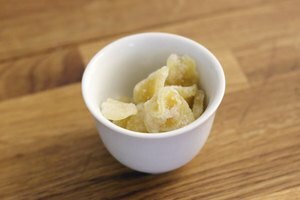 Dried figs, thinly sliced, can add a touch of sweetness. And don't forget coconut, which can be added to any granola recipe. Dried fruit should be added during the last 15 minutes of baking time or sprinkled into the mixture after baking. If you use dried fruit in place of honey, the granola will be slightly drier and more crumbly. Try combining extra fruit with a small amount of peanut butter or one of the suggested sweetening syrups, or try a small amount of fruit juice concentrate. Genuine maple syrup---not the flavored corn syrup kind---can be a delicious sweetener in granola. 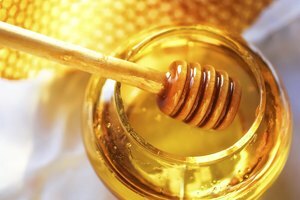 Molasses or corn syrup are also possibilities, and can be substituted in equal amounts for honey in a granola recipe (i.e., 1/4 cup honey = 1/4 cup molasses). Combinations of syrups will work. Try agave nectar, which is made from cacti and contributes a flavor of its own. Brown rice syrup adds nutrients to granola but is less sweet than honey. A recipe calling for 2 cups of oats will require only 1/4 to 1/3 cup of any of the syrups. Adding peanut butter to your granola recipe can replace some of the flavor of honey, and the peanut butter helps bind the granola. If you want to stay animal-free and sugar-free, use an artificial sweetener such as Splenda with the peanut butter. 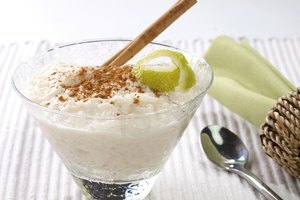 Stevia, a naturally sweet herb available in health food stores, is much sweeter than sugar but can taste bitter if used in excess, so start with a small amount: one single-serving packet of Splenda or stevia might be enough for a recipe calling for 2 to 3 cups of oats. Also try unsweetened granola; oats and other whole grains have a sweetness of their own when chewed thoroughly.